Day 1 was a huge success for our 7 classes of Preps. 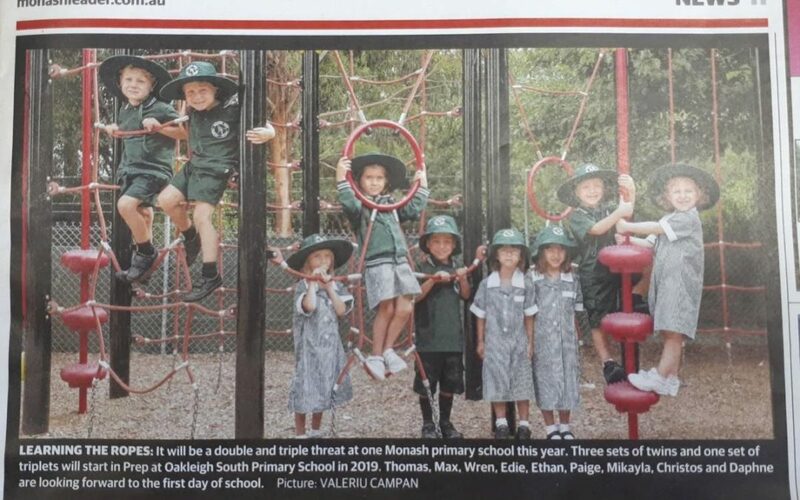 We have featured in the Monash Leader this week for welcoming a set of triplets and 3 sets of twins to the 2019 cohort. Chanel 10 was out this morning and OSPS will feature tonight on the 5pm news!